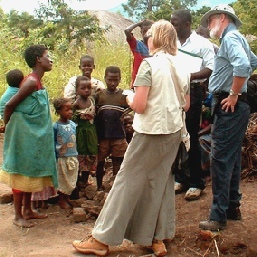 In 2004, David and Lynda Mills, an ordinary middle-aged couple from Norfolk, UK, visited the area for a fortnight on the way to Mozambique. The impact on them was so profound that they decided to return in 2005 and spend a further 4 months there. 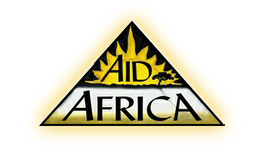 During that time, Open Hand Projects - AID AFRICA’s local working title - was born, and is now officially registered in Malawi as an FBO (Faith-Based Organisation) Dave & Lynda share a vibrant Christian faith with many supporters in the UK and Africa. Chatting with Village Headmen, it became obvious that hunger was their biggest problem, with the more vulnerable villagers at greatest risk. 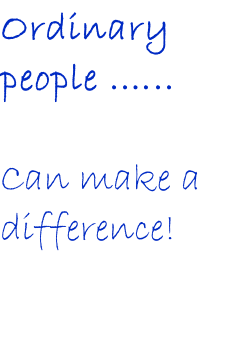 Communities generally work together to help each other, but the poverty was so acute that there was little to share. 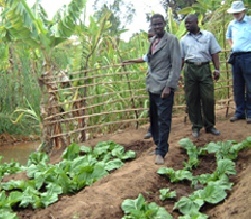 So Open Hand Projects established Community Agri-Gardens, growing maize and vegetables, to feed the poor. We supplied seed, fertilizer, pesticide and eventually agricultural advice and training – volunteers worked the "Gardens" and 100% of the harvest was freely given to the most vulnerable in the villages. Offices were set up in two areas of southern Malawi – our main base in Chiringa, Phalombe, and the other in Muona, Nsanje. It’s about a day’s drive between, mostly on heavily damaged roads, which make all travelling both challenging, and expensive in constant car repairs. Now, years later, David and Lynda still spend many months in Malawi each year, checking progress, supervising, planning and implementing community-relevant projects. Open Hand Projects’ staff monitor between trips, encouraged by government advisers and local leaders. Many hundreds in our target group - orphans, the elderly, disabled & AIDS- affected - were fed from these “Gardens”.